The capability of a work truck is often understood in terms of numbers on a spec sheet – horsepower, torque, towing capacity, combined mpg, cargo room and the list goes on. What these numbers all have in common is that they can be calculated with near perfect precision before an individual vehicle ever leaves the dealership. In many ways, they represent potential, how a truck will perform in a given situation and when pushed to its limits. Numbers on a spec sheet are not the only way to measure the quality of a vehicle, however. In fact, there is perhaps only one number that can tell the true story of a work truck, and only then years after it loses that new-truck smell. Of course we’re referring to the number on its odometer. 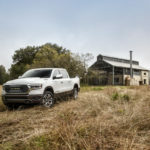 Ram Trucks are proven to last*, so it was no big challenge to find several good stories of individual Ram Brand vehicles rolling past the 500,000-mile mark and even approaching one million total miles. Below are two such stories in video form. 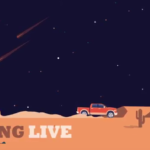 We hope by watching them you’re convinced to begin piling up miles on a new Ram Brand work truck of your own. Description: Jim’s 2011 Ram 3500 is of a different breed. 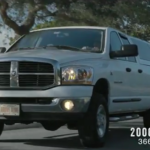 He’s racked up nearly a million miles on his Ram Truck, driving it all across the country as a mounted shooter. Description: Lynda’s 1997 Ram 1500 has had a long life on the road. 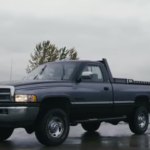 She’s driven over 600,000 miles in her Ram Truck on the original engine and transmission, and it’s still going strong. 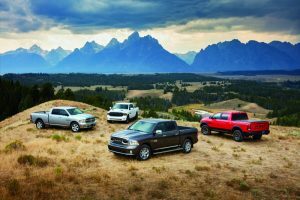 *More than eighty percent of Ram Trucks in each model year 2003-2016 are still on the road today, based on the July 1, 2017 snapshot of IHS Markit VIO registration data.